Seven Stories Press, 9781609806576, 800pp. The hotly anticipated first novel by lauded playwright and The Wire TV writer Kia Corthron, The Castle Cross the Magnet Carter sweeps American history from 1941 to the twenty-first century through the lives of four men--two white brothers from rural Alabama, and two black brothers from small-town Maryland--whose journey culminates in an explosive and devastating encounter between the two families. On the eve of America's entry into World War II, in a tiny Alabama town, two brothers come of age in the shadow of the local chapter of the Klan, where Randall--a brilliant eighth-grader and the son of a sawmill worker--begins teaching sign language to his eighteen-year-old deaf and uneducated brother B.J. Simultaneously, in small-town Maryland, the sons of a Pullman Porter--gifted six-year-old Eliot and his artistic twelve-year-old brother Dwight--grow up navigating a world expanded both by a visit from civil and labor rights activist A. Philip Randolph and by the legacy of a lynched great-aunt. The four mature into men, directly confronting the fierce resistance to the early civil rights movement, and are all ultimately uprooted. Corthron's ear for dialogue, honed from years of theater work, brings to life all the major concerns and movements of America's past century through the organic growth of her marginalized characters, and embraces a quiet beauty in their everyday existences. 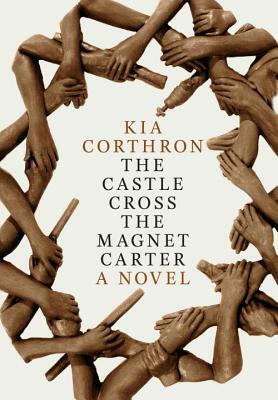 Sharing a cultural and literary heritage with the work of Toni Morrison, Alex Haley, and Edward P. Jones, Kia Corthron's The Castle Cross the Magnet Carter is a monumental epic deftly bridging the political and the poetic, and wrought by one of America's most recently recognized treasures. The author of more than fifteen plays produced nationally and internationally, KIA CORTHRON came to national attention in the early nineties with her play Come Down Burning. Portraying characters who live in extreme poverty or crisis and whose lives are otherwise invisible, her plays paint a disturbing picture of American history and its repercussions on our most intimate relationships. Corthron's most recent awards include a Windham Campbell Prize for Drama, the Simon Great Plains Playwright (Honored Playwright) Award, the USA Jane Addams Fellowship Award, and the Lee Reynolds Award from the League of Professional Theatre Women, and she has developed work through various international residencies. She has also written for television, receiving a Writers Guild Outstanding Drama Series Award and an Edgar Award for The Wire. The Castle Cross the Magnet Carter is her first novel. She grew up in Cumberland, Maryland, and now lives in Harlem, New York.